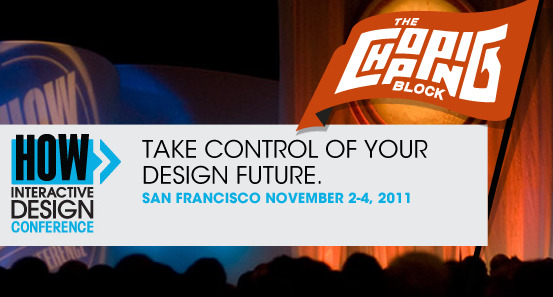 This Fall the design forces behind HOW Magazine are unleashing the first-ever HOW Interactive Design Conference in San Francisco November 2–4. This new event is designed for creatives who are looking to boost their interactive design chops. Maybe you’re a designer who’s dabbled in web design but want to deepen your knowledge of CSS and HTML. Maybe you’ve done some interactive design but want to learn more about subjects like user experience and content strategy. It’s humbling to not only be speaking at the conference but to be part of the advisory board as well. The goal is to expand a designers knowledge to encompass the fundamentals of interactive design. It’s about making smarter stronger designers by demystifying the stuff that slows us down. If you are looking for an inspiring three-day design relevant experience that expands your understanding of all things interactive, this is the one. Sign up by September 1, you’ll save $100 off your registration fee. Use the code MATTHEW you’ll save $50 more. Hey there.. Loved your presentation…. looking for the deck? Link you gave isn’t working for me, wondering if I wrote it down wrong.